Is your computer still running on Windows 7? If you are still holding on to this more than 7 year old operating system then you should know that there are risks involved. One of which is that it can easily be targeted by security threats since it isn’t designed to handle these modern threats. The mainstream support for this operating system ended in 2015 while extended support ends on 2020. What this basically means is that the developer ( which is Microsoft) has already shifted its resources to Windows 10. You will want to use the latest operating system to be able to enjoy all of the latest updates. Once you have decided that now is the right time to upgrade your computer’s software you will want to check if it meets the necessary hardware requirements to run Windows 10. 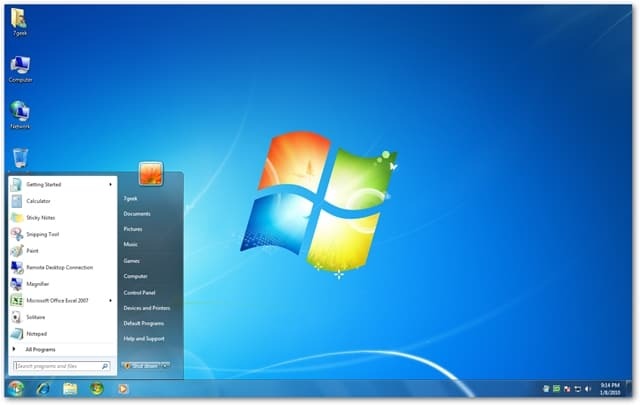 If you are coming from Windows 7 then you won’t have much of a problem since both operating systems have the same requirements. Your computer should have at the very least the specifications listed below. The next step is to make a backup of your personal data stored in your computer. While this isn’t necessary since you won’t lose your data you should play it safe by having a backup. If you have lots of files to backup then save them to a portable hard drive. Once you have made a backup and your computer is ready to be upgraded then head out over to the Microsoft website https://www.microsoft.com/en-us/accessibility/windows10upgrade . While it says that you can get the Windows 10 upgrade for free is you use a device with assistive technology. Don’t worry about this as this is a broad term which includes any device with a valid Windows 7 or Windows 8.1 license. Click on upgrade now. This downloads a Windows 10 Upgrader file that you need to install in your computer. Run this app then just follow the on screen instructions to upgrade your software. If you would like detailed step by step instructions on how to upgrade your computer software then just contact us using this form.